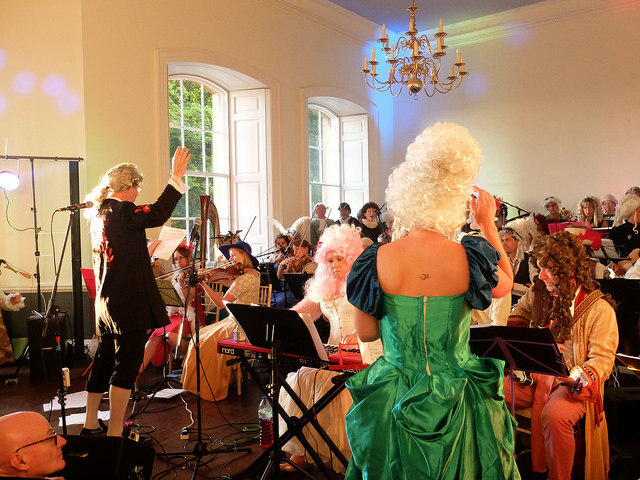 The Orchestra opened an evening of music in support of the NGO Fundación Encuentro con la Vida in Bogotá, Colombia. 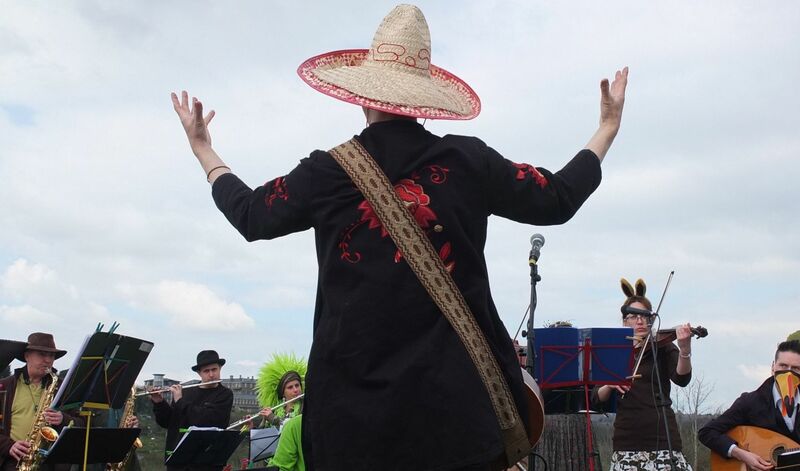 A goodly number of Fantasists put on a free Easter show atop St Werburghs Hill in Bristol, in co-operation with the The Narroways Trust. 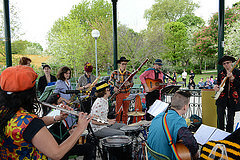 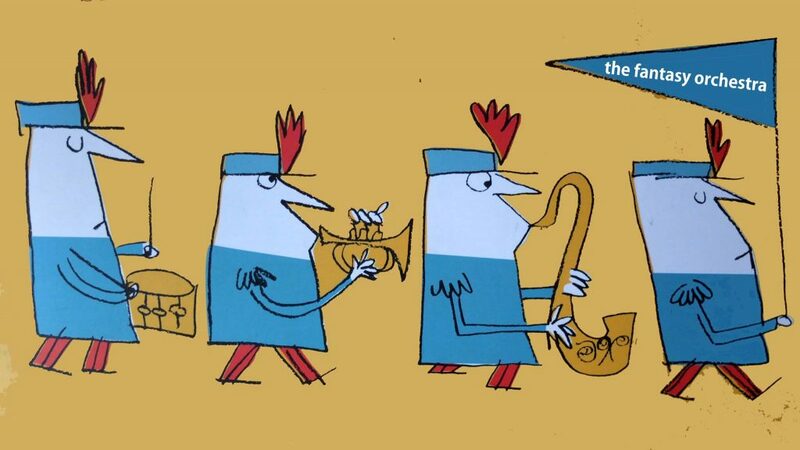 New arrangements of numbers by Queen and the Beatles got their first public airing, and old chestnuts by Les Baxter, Ennio Morricone, Jimi Hendrix and the like were given a springtime runaround. 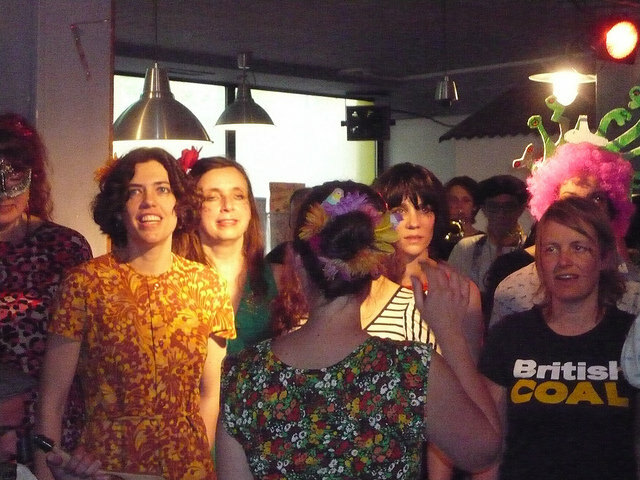 Eggs were painted, bubbles blown, and battery-powered amps triumphant. 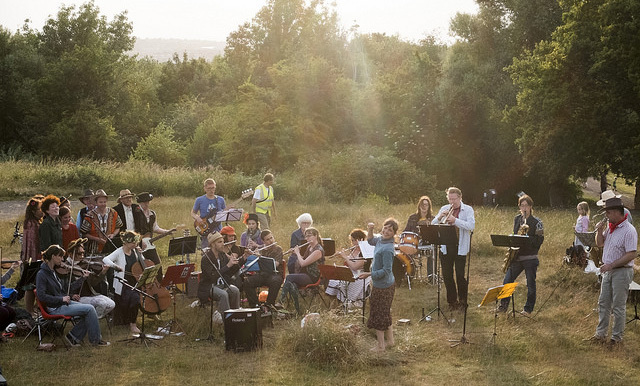 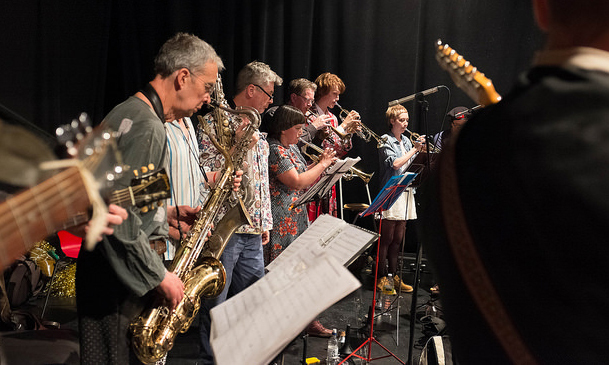 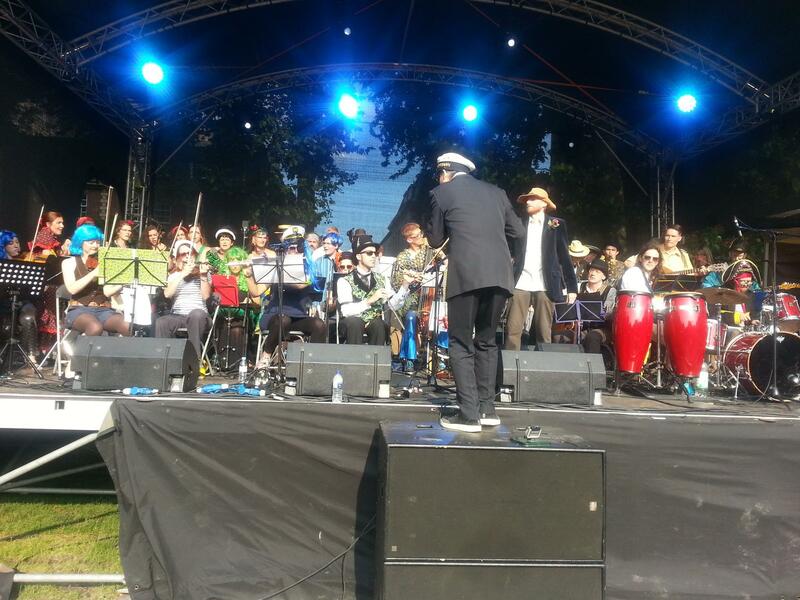 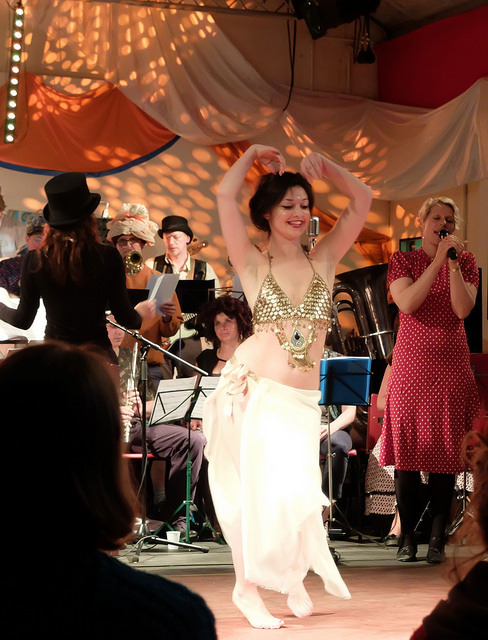 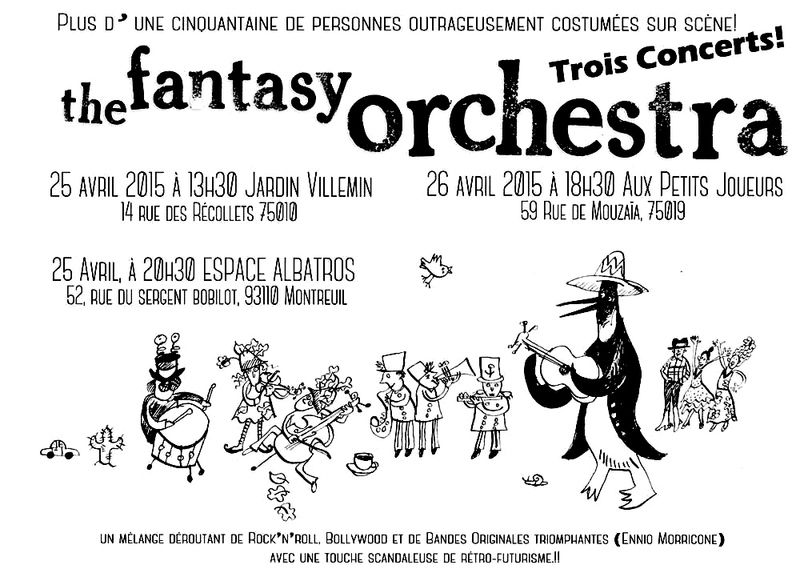 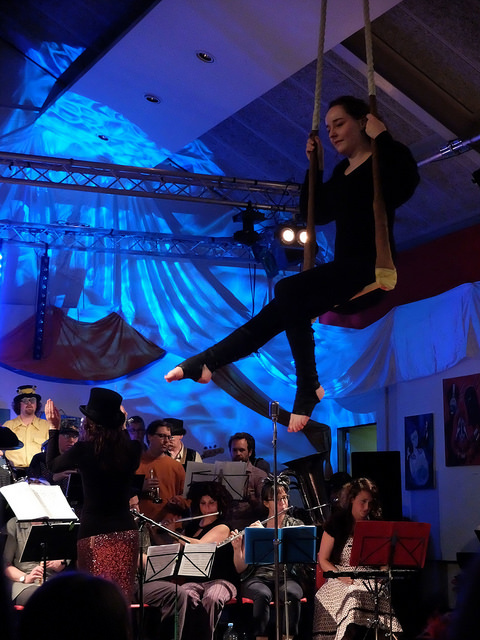 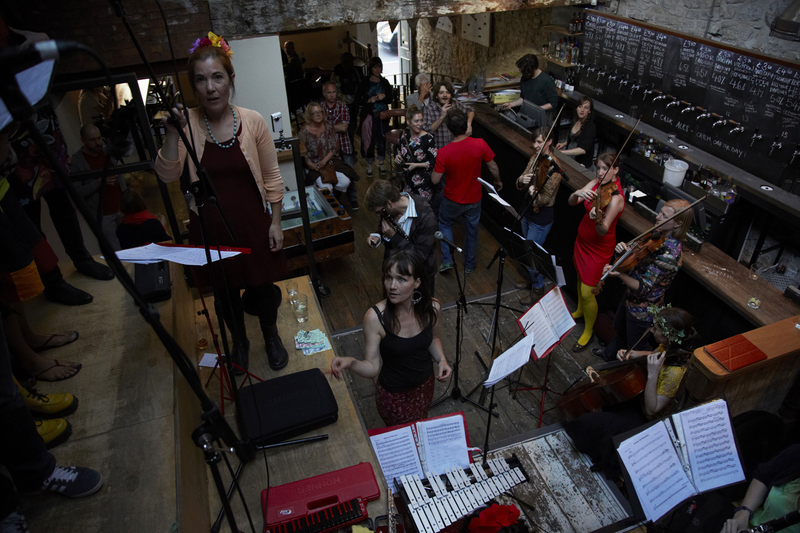 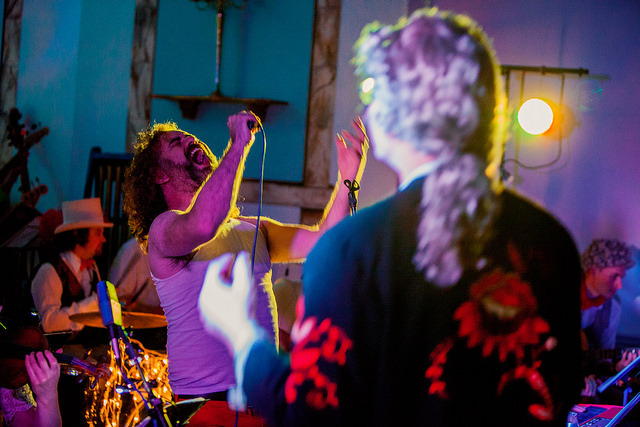 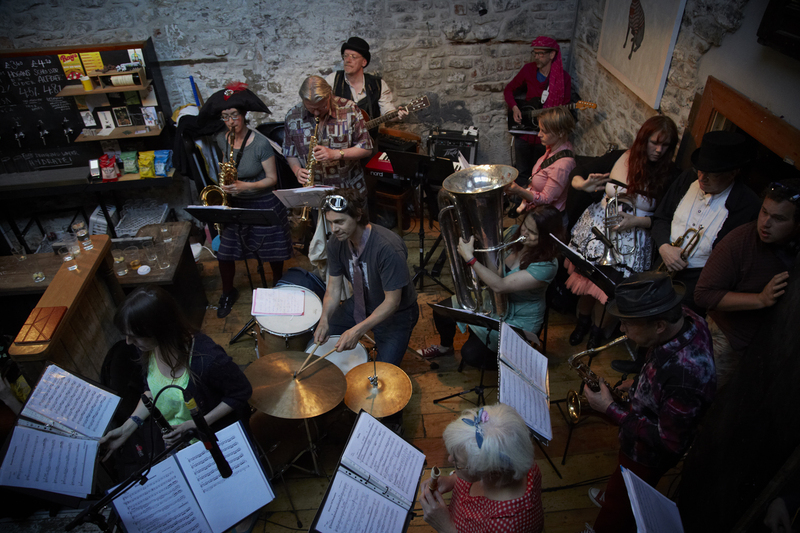 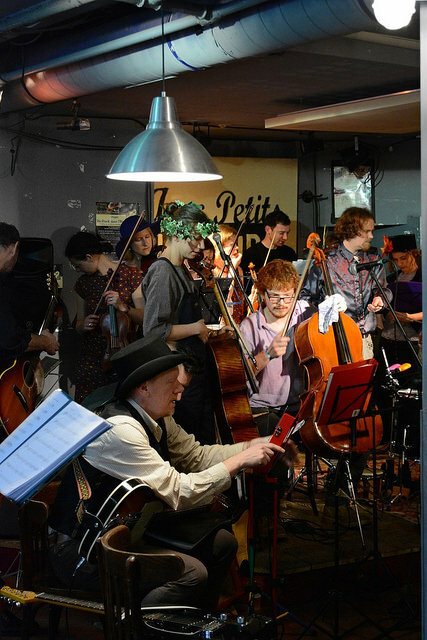 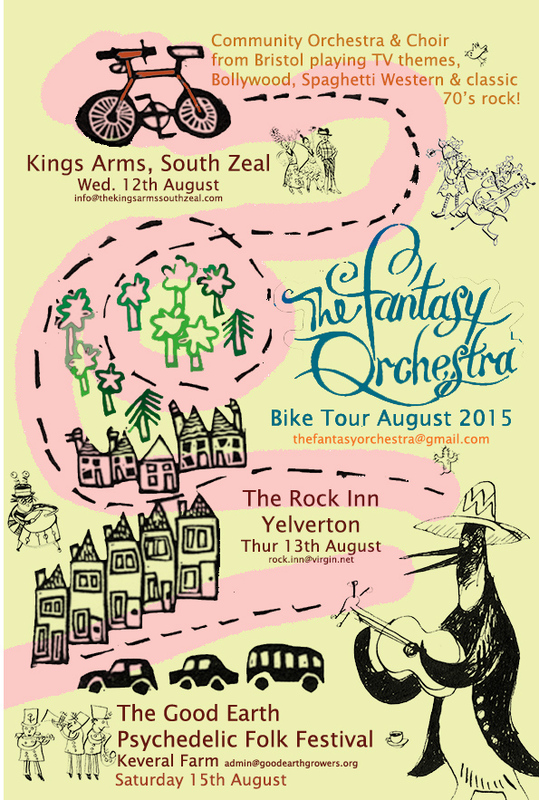 The Bristol chapter of the Fantasy Orchestra are heading to Paris in the springtime for a few gigs over the weekend of Saturday 25 / Sunday 26 April.